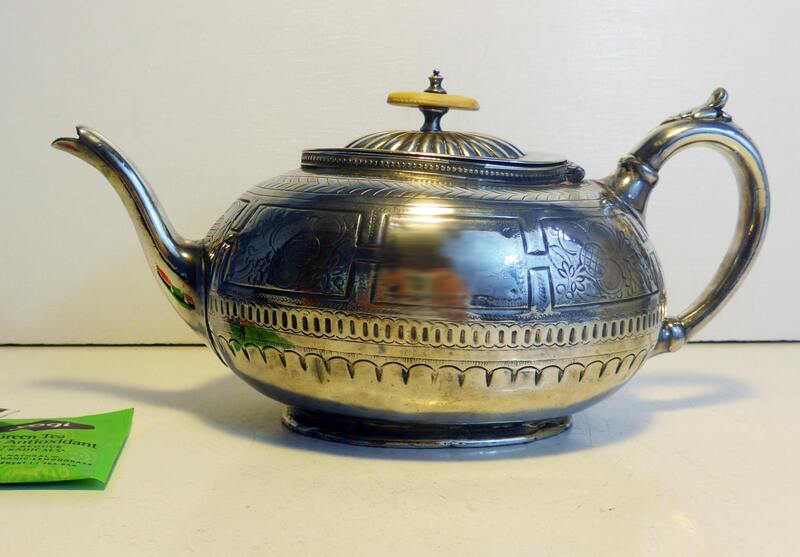 Very special antique silver plate teapot by Shaw & Fisher Sheffield that has an oval knob on the lid, etching on the sides featuring ornate designs with some fruit and various other geometric shapes like ovals and scallops. 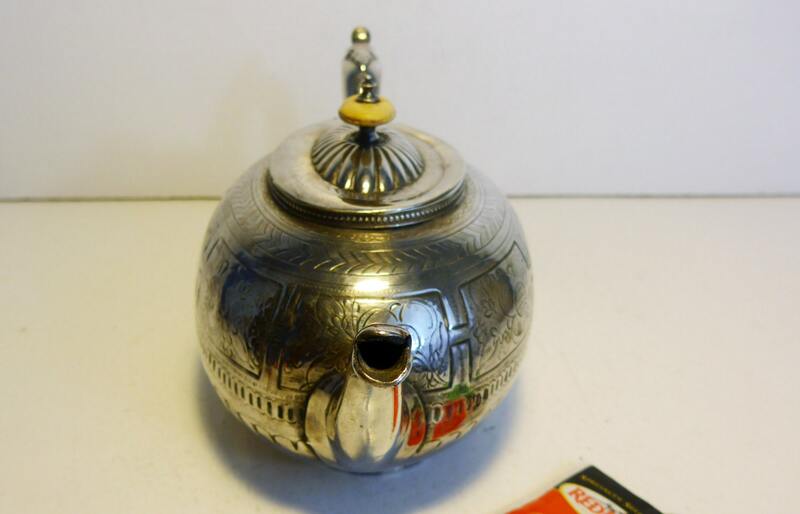 This teapot made in England has a unique oval shape that reminds one of Aladdin's lamp. 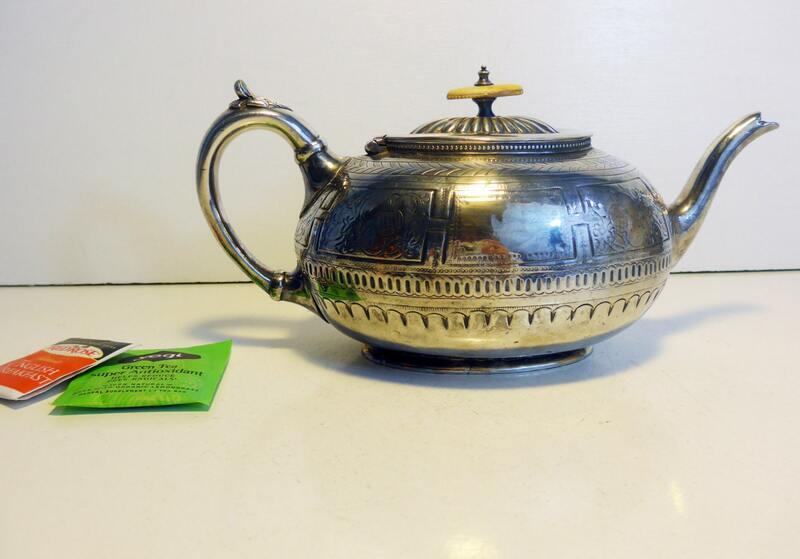 The off-white knob on the lid also adds a different look to this late circa late 1800 silver plated teapot. The Shaw & Fisher Sheffield stamp/hallmark is on the bottom. The style is Art Nouveau, which is more flowery than the Art Deco period, and was popular during the period from roughly 1880 until just before World War I. The hallmark on the bottom dates this between 1877-1898. 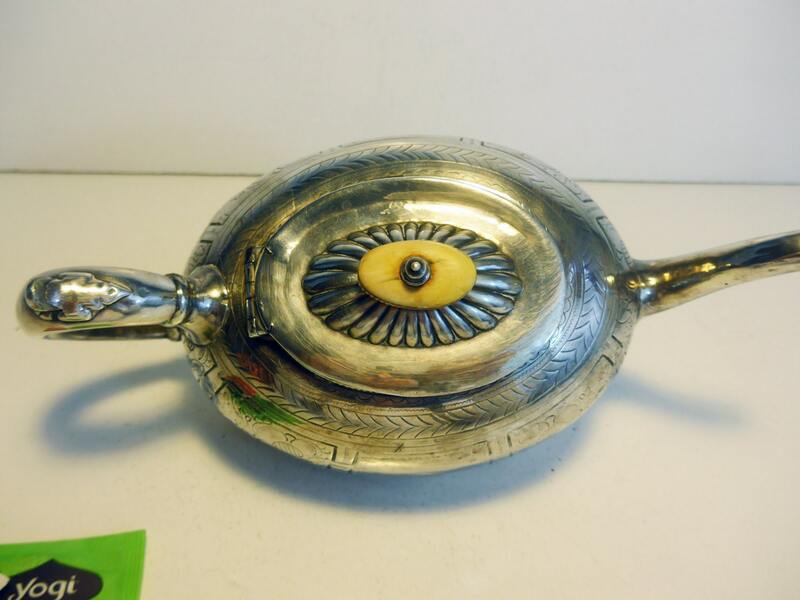 In nice antique condition with wear consistent with an antique item that is about 140 years old. When you turn the teapot over, the bottom has some loss of silver plate around the edges and in the center where the hallmark is. The lid is slightly lopsided. 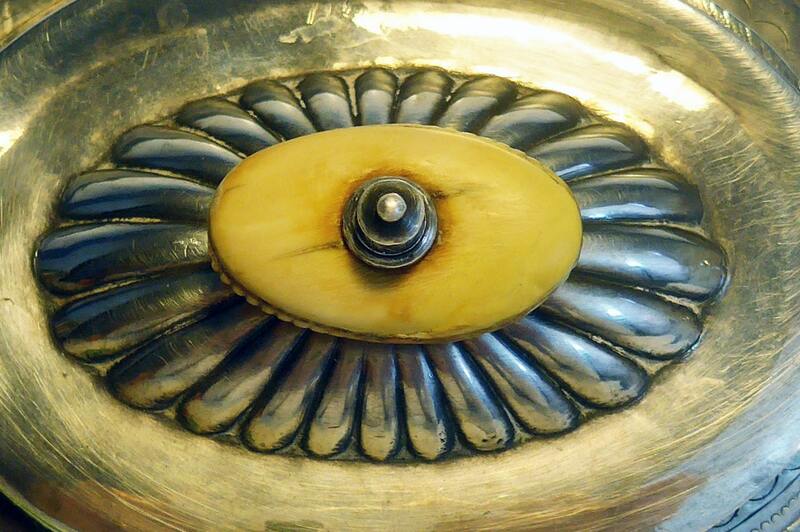 The knob on the lid is discolored and shows some wear - see last photo. Item is priced to reflect these conditions. A great shabby chic piece. A great piece of history and a wonderful shabby chic kitchen decor or serving item from the late 1800s.